Don’t make the mistake of taking a trip to Sedona for a night or two, three to five days is the time needed to see Sedona, the Grand Canyon and beyond. Red Rock Country has numerous things to do for pet owners that can be enjoyed any time of year. 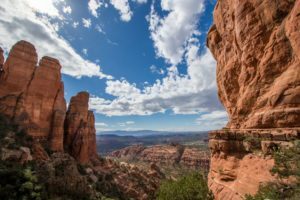 This five-day itinerary of adventures is provided to help you on your Sedona travels, and are just a sampling of the many things to do. El Portal Sedona Hotel is located in the heart of the Historic Arts District. Here at El Portal, we don’t just hand you a key, we welcome you to our home, where you are no longer strangers. El Portal is a unique lodging experience; it is not a large resort, nor a bed and breakfast. El Portal is a great place to bring your pets. We were one of the first pet friendly hotels in Sedona, and we truly welcome you and your pet. The inn is a short stroll away from Oak Creek Canyon where pet owners can spend quality time with their furry friends along the cool water. 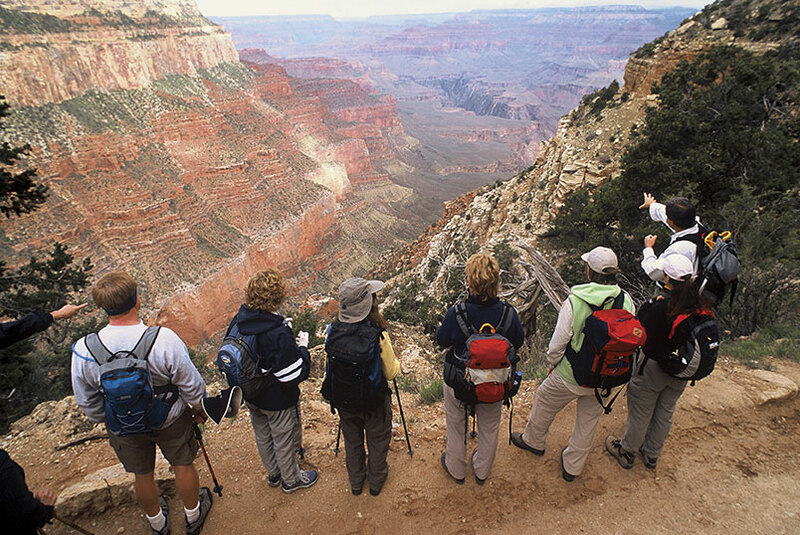 The Grand Canyon is considered to be one of the most impressive natural “wonders” of the world. With nearly two billion years of history written into layer after layer of rock, the Grand Canyon is as breathtaking as it is popular. Scenic overlooks are accessible both on foot and by car. Although there are multiple entrances, the North Rim holds a Grand Canyon bridle trail for dogs to walk along that is 2.7 miles each way. Leashed dogs are allowed on any paved rim trail, providing ample opportunities for pets and their owners to explore the Grand Canyon with ease. 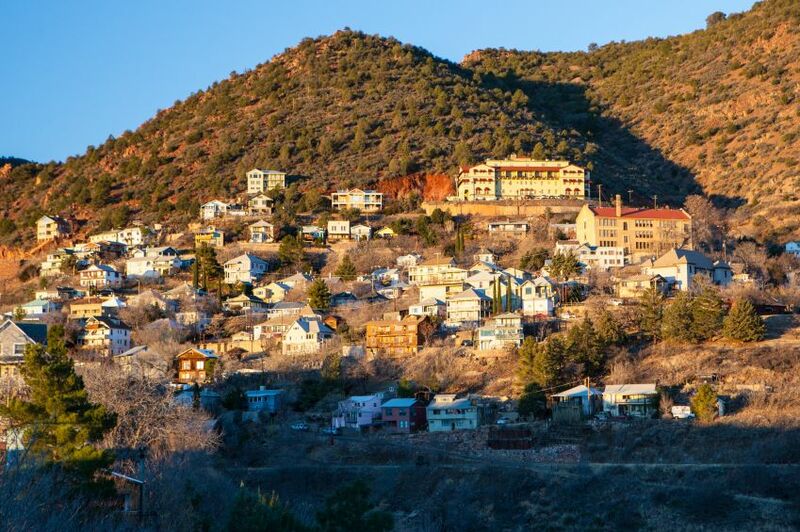 Travel along the 89A to explore Jerome, a thriving tourist and artist community. It is often promoted as a historic ghost town after disastrous fires destroyed large sections of the town, and dozens of buildings, including the post office and jail, were lost as the earth beneath them sank away. Visit Montezuma Castle with its beautiful and ancient architecture, and surrounding trails for you and your pets to explore. End the day with a visit to the Montezuma Well, home to species of animals and Indian ruins found nowhere else on the planet. 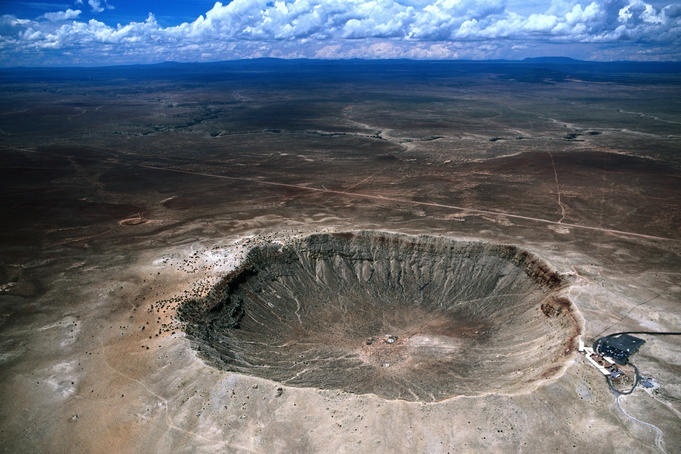 Take a peek into the history of Arizona on your Sedona travels by visiting the best-preserved meteorite crater on Earth. The astonishing result of a collision between a piece of asteroid traveling 26,000 miles per hour and planet Earth more than 50,000 years ago. You can also take a moment to explore the Petrified Forest which features one of the world’s largest and most colorful concentrations of petrified wood. The park is also home to the Agate House, a Native American building of petrified wood reconstructed during the 1930s. Sedona is home to wonderful hiking trails. From the Devil’s Bridge, which is considered the largest natural arch in Sedona at 54 feet high, to the Wilson Mountain Trail, which is the highest of the red and white sandstone peaks in the Sedona area; at 7,122 feet breathtaking views are more than abundant. Trails can be as short as a pleasant 1.6 miles or as long and strenuous as 10+ miles. and book any day adventures!